This brand new NEJE DK-8-FKZ is specially designed for laptop with professional control software,giving you extreme portable experience. 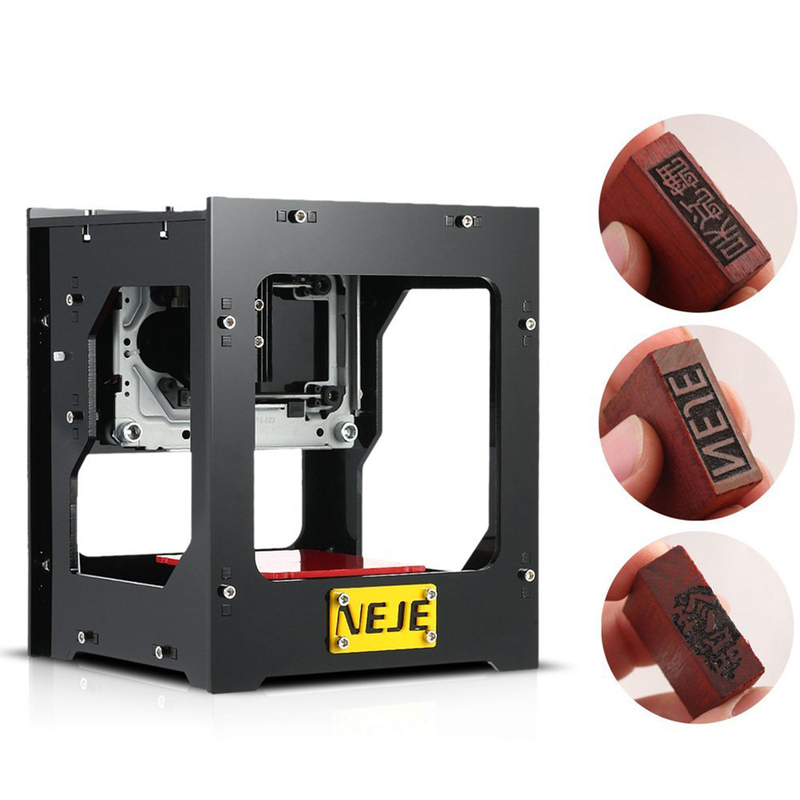 This mini laser engraving machine with higher precision and higher stability than the old version is great for DIY engraving. 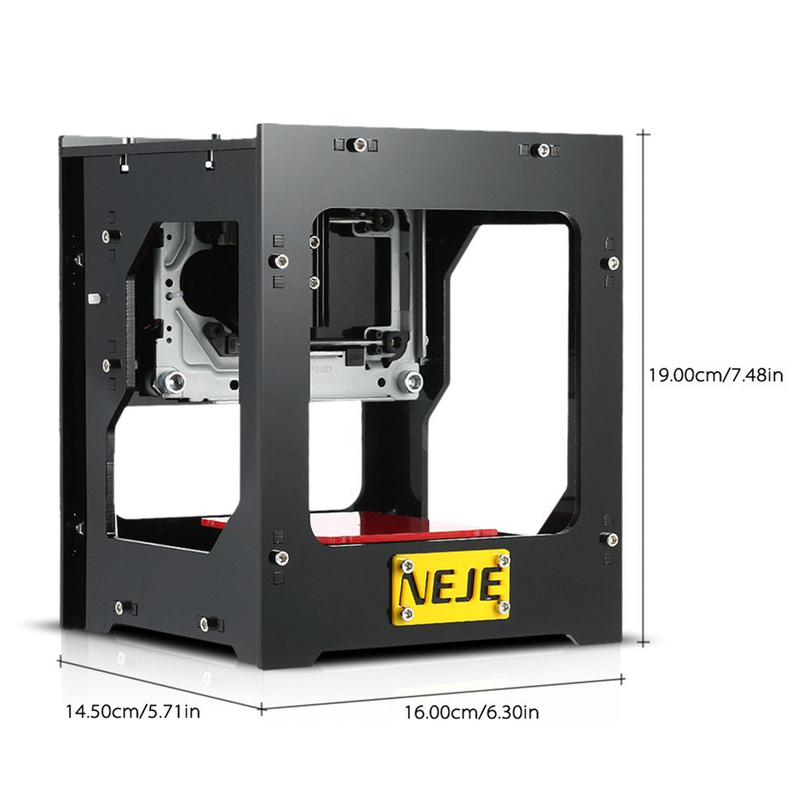 It supports offline operation,convenient than normal engraving machine. 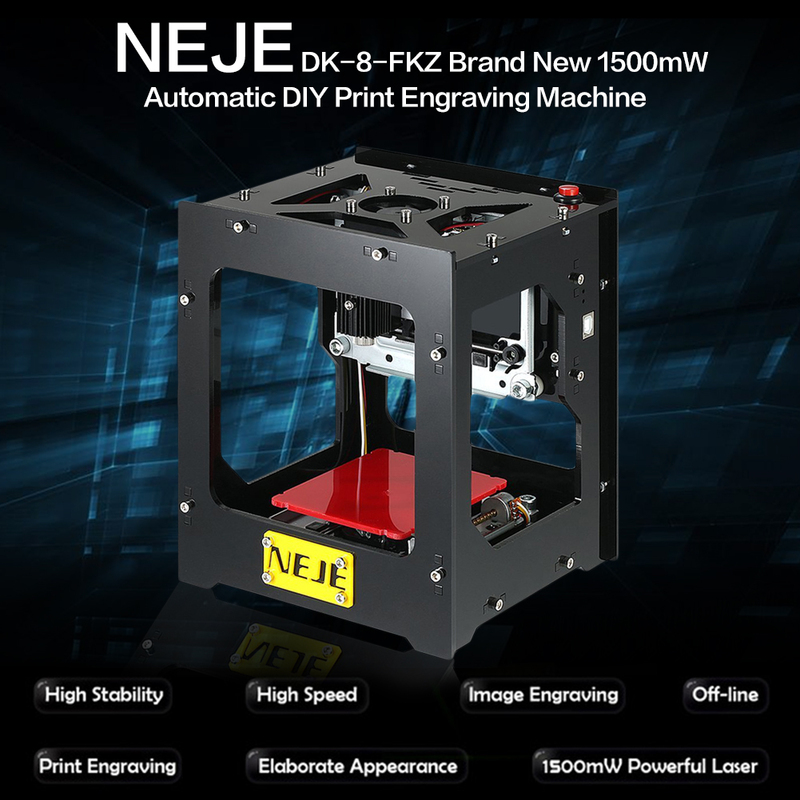 Desktop laser engraving machine for print carving and more practical than normal engraving machine.Support our professional English\German\Japanese\French\Italian\Chinese design software for win xp\win7\win8\win10. Built-in 6000mAh polymer li-ion battery, providing 4A output, High power and can carve anytime anywhere.38 x 38 x 70 mm Caving Space. Higher precision and higher stability: with 108 screws and alloy structure make it strong, also you can design your structure in the machine. 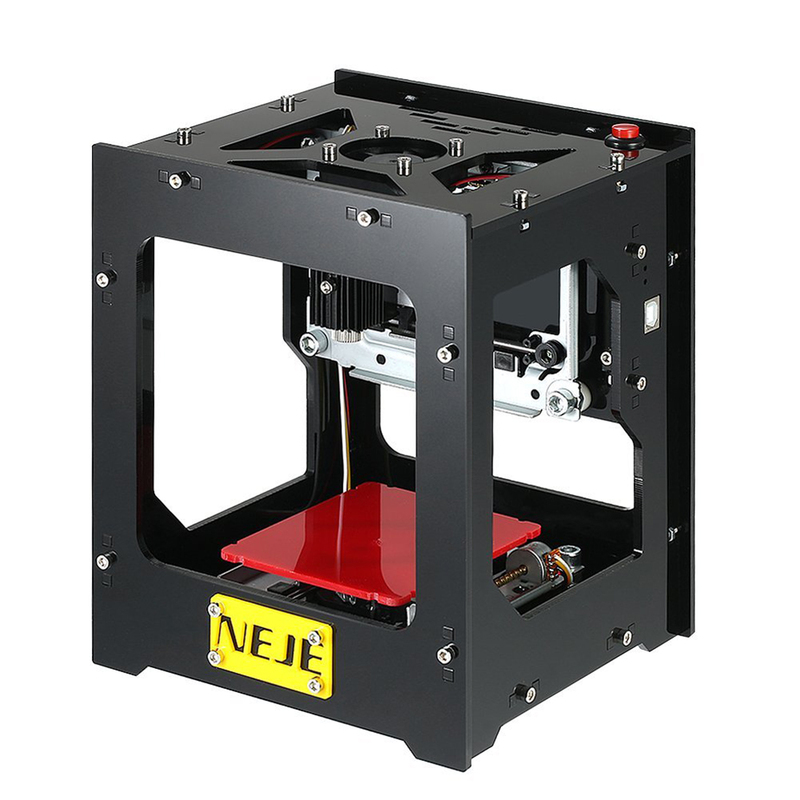 Offline power cut memory function, If the battery power is insufficient, usb a mobile power or a 5V1A supply, it will continue to carve,one button to operate.Lone time use, NEJE developed the professional power IC and radiator, carving time will last much longer and carving performance will be more stable than other laser. Great for image engraving and depth engraving, extremely wide scope of application. Easy to use and install, perfect gift for engraving DIY enthusiasts. 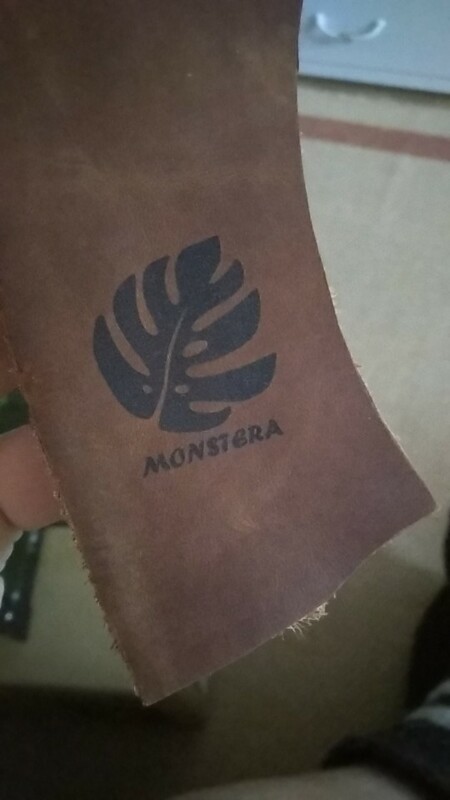 Materials can be engraved including: hard wood, plastic, bamboo, rubber, leather, cut paper or other flammable plastic (such as phone case, mouse, pencil, name card, wallet, plastic comb), paint metal, miniature engraving, mahogany, paper cards, ivory, PCBA, etc. All clear and understandable. All works.